Children at this young age learn more about a subject by using their hands than only using their ears. Instead of focusing the lesson on Martin Luther King Jr.'s specific message, it's more age-appropriate to target his teachings such as peace, justice and equality for everyone. One way to respect and accept each other no matter what you look like is through a friendship craft. This project pairs up two children in class who are not necessarily friends and brings them together with paint, a poem and a handprint. Randomly draw pairs of children's names out of a hat; these are the two who will create this craft together. One child dips his or her left hand in a favorite color of paint, while the other child does the same with his or her right hand, but in a different color. 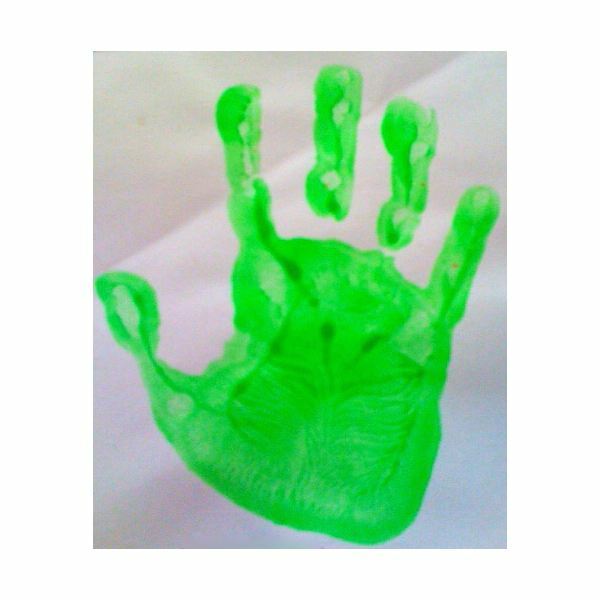 With adult supervision, have each child gently make a handprint on the sheet of paper, with the left hand on the left side of the paper and the right hand on the right side. Repeat the above step on a second sheet of construction paper. Print out a friendship poem of your choice as long as it is easy enough for kindergarteners to understand and no longer than 6-8 lines. 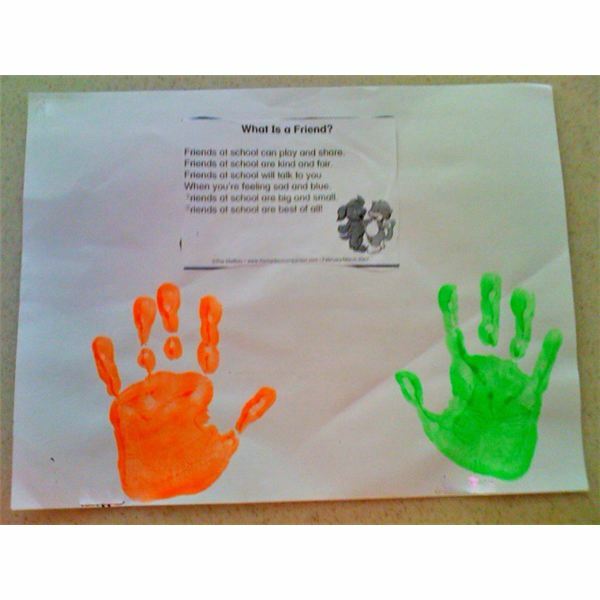 Cut it out and glue it above the handprints on both papers. When dry, remember to label each friend's handprint. This craft honoring the legacy of Martin Luther King Jr. comes from the children’s book, The Colors of Us by Karen Katz. In this story, a young girl, Lena, learns that even though everyone’s skin colors are different — she classifies them as food from cinnamon to French toast to peanut butter — everyone is still the same on the inside. Have students bring in food that they feel represents their skin color. Make sure it is non-perishable. 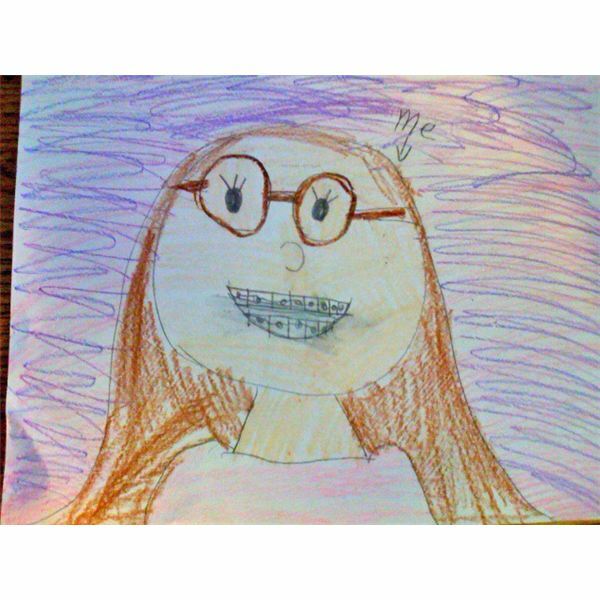 Have the students draw their self-portraits using the colored crayons and pencils. Tell the students to use colors they think best represents their skin color. When all the drawings are complete, have each student present his or her picture and food in front of the class so all the children can see the different colors. 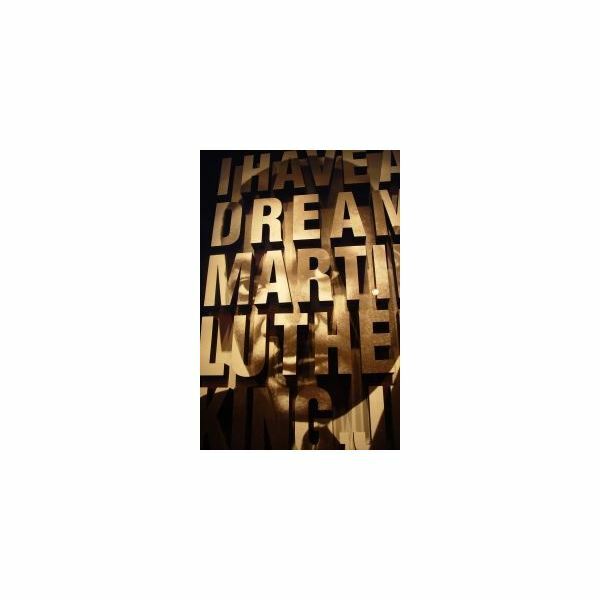 Hang up the pictures in the classroom in honor of Martin Luther King Jr. Day. Donate the students’ food to a local food bank. Children at this young age hear something one day but forget it the next. It's important to remind them that Martin Luther King Jr. stood for values that are always part of their lives, not just on his birthday. You can help them to remember by making posters with King's messages and his principles for non-violence and hang them around the classroom. Encourage youngsters that they should respect each other as well as their environment and remind them how important it is to give back to their community or to help others less fortunate. As the students get older, they will learn more specifics about his message including his famous speeches. For now, learning how to treat each other is one way of understanding his dreams.